PDF Expert 2.0 for Mac (Orig. $59.99) — Edit text, add links, sign and annotate documents with this App Store award winner. Call Recorder for FaceTime (Orig. $29.95) — Record interviews and podcasts in crystal-clear HD. MainMenu Pro 3 (Orig. $19.99) — Keep your Mac running smoothly with scheduled maintenance scripts, and access extra settings. TripMode (Orig. $7.99) — Control and track data usage during mobile tethering. AfterShot 3 (Orig. $39.99) — Harness powerful RAW editing features and view images at speed. ParticleShop (Orig. $49.99) — Add extra style to your photos with 11 creative brushes. Total Video Converter Pro for Mac (Orig. $29.99) — Convert and burn videos at original quality in 250 formats. RapidWeaver 7 (Orig. $99) — Create beautiful, custom, SEO-optimized websites without any code. CrossOver 15 for Mac (Orig. 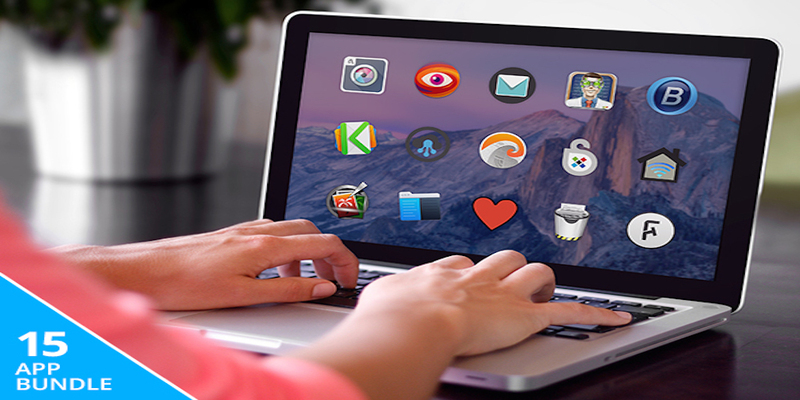 $39.95) — Run Windows apps on your Mac at native speed, no Bootcamp necessary. Want a bigger selection of different apps? Bundlehunt lets you choose any 10 apps out of a 50 Mac app selection offered for the same $20 purchase price. Starting today, Parallels is offering a new bundle for a limited time that will let you get 81% off 7 great Mac apps with the purchase or upgrade of Parallels Desktop for Mac ($50-$79). That means if you either purchase Parallels Desktop for $79.99, or upgrade to the latest version for $49.99, you’ll get the following 7 apps free: 1Password, CleanMyMac, Kaspersky for Mac, PDF Expert, PDF Office for iPad & Parallels Access. The Mega Mac 2015 Bundle includes 15 great apps, and 9to5Toys Specials has it for $25 after using coupon code 9to5bundle at checkout to receive an additional $5 off. The much anticipated Season 2 of Telltale’s official Walking Dead game, which some of you might have picked up for free in our bundle earlier this month, has today finally landed on both Mac and iOS. Telltale confirmed on its blog that the new season is now available to download for Mac and PC through Steam ($24.99), and the iOS version for iPhone and iPad is now available on the App Store for $4.99. The sequel to 2012’s Game of the Year continues the story of Clementine, a young girl orphaned by the undead apocalypse. Left to fend for herself, she has been forced to learn how to survive in an unforgiving world. But what can an ordinary child do to stay alive when the living can be just as bad – and sometimes worse – than the dead? We covered this earlier this week when it was under $7 but it bears repeating as the price is still under $10.